With the development of technology, you should find smarter egg collecting system. 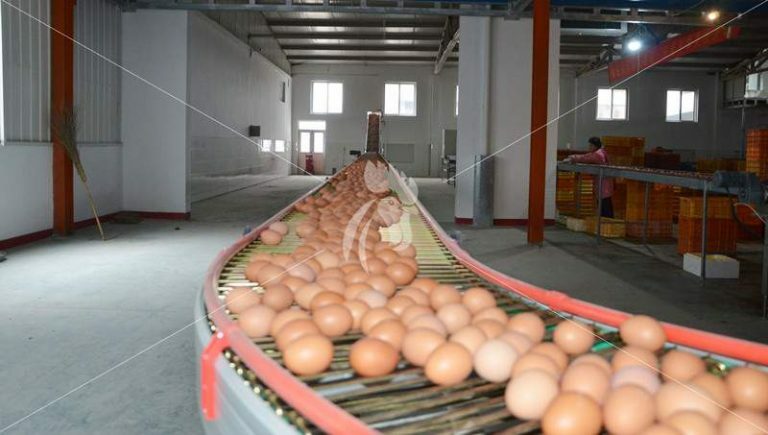 TIANRUI automatic egg collection system is a very cost-effective and time saving way that can increase your production rate and reduce your cost. TIANRUI battery cage equipment provide you high demands of egg collecting system in the most exemplary manner: (1) high reliability; (2) easy operating; (3) smooth egg transporting. Every counting module has infrared sensors. When passing an egg through the counting module, the intensity of reflection is determined by the infrared sensors. The egg can be counted and also registered by the infrared sensor. It can also provide the information of counted eggs at any moment during the operation. How to choose right egg collecting system? TIAN RUI can provide different custom-made egg collecting system according to the chicken house size. It includes elevator egg collecting system and central egg conveying system. The following essential factors and questions have to be taken into consideration when choose the egg collecting system. (1) The performance of the egg collecting system have to be adapted to the capacity of the egg grader. (2) Are there any difference in altitude on the farm premises and the houses staggered respectively? (3) Do you have intention to prefer eggs by flock or rather simultaneously? It is the careful consideration of these aspects to make right choices. How to raise layers in high temperature environment in chicken farm?